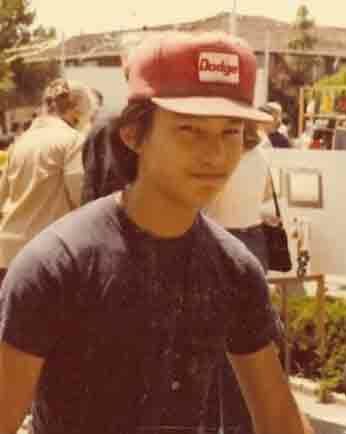 Note: This is a continuation of previous posts about experiences during my teenage years in the late 1970’s. I’ve been looking for the rare photos I had of the car but I haven’t been able to find the few I remember having. If I find them I’ll update this story’s photos (which I have with some old photos). 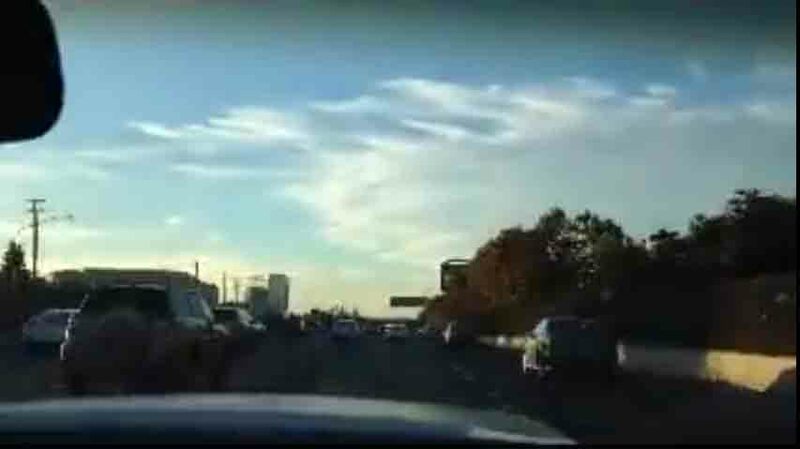 I recently was contacted by a few of my old high school streetmachiner friends who discovered this blog and it was a pleasant surprise to hear about some of their car experiences over the last decades. So it’s with you all of you guys in mind that I post this article, hope it helps bring back some pleasant memories. It was a fun and fascinating time, those days searching for my first car. I had two close car buddies, Scott Douglas (The Ford Expert) and Rick Elliott (The Chevy Expert) who together through junior high school and the early days of high school, would spend more time than we should have day-dreaming about life cruising the streets, roads and highways. Rick was the first one to get his car, a 1955 Chevy Bel-Air Wagon which he wanted to restore, so it sat in his backyard for what seemed like years. Then Scott got his 1967 Mustang fastback, which he kept in his driveway as it went straight into customization mode, which over those early years became a local legend, a wimbledon white GT-350 styled ground pounder with gold stripes. 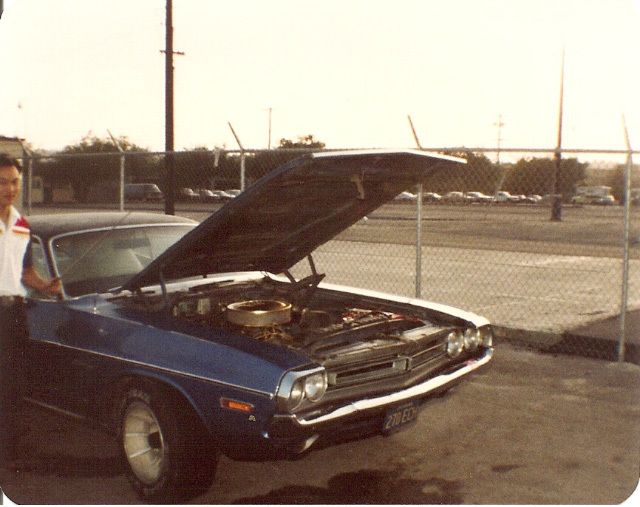 Then I found my 1971 Challenger, which, by the way, was the first one that was able to be driven. 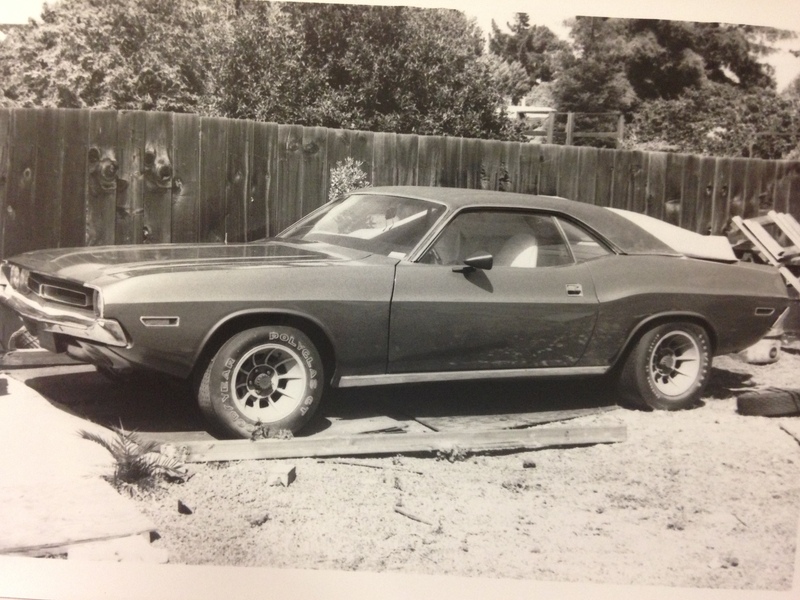 My dad and I checked out a lot of Challengers of all years, but in January of 1978, when I was 15, I finally found a Challenger with a combination I could live with that was under $2000. By this point, my mom was involved and I think she wasn’t interested in me getting a radical fire breathing monster. Funny how mom’s suddenly get involved when that critical moment materializes, as if she’s going to drive it. Buying a Challenger, my first car, becomes a bit of a family affair. We found the Blue Flash in some obscure used car lot in San Jose with about 42,000 miles, previously owned by an old lady. And as far as what you think Challengers are normally, it was a bit of an old lady’s car. It had a floor shift automatic and a 383 two barrel (which still had some awesome torque), single exhaust, no sway bars, dark metallic blue paint with a black vinyl top, power steering with a 5.2 turn box, a salt and pepper interior with a cigarette burn hole in the back seat, air conditioning, and wire rim hubcaps with 70 series “Mohawk” Tires, and a unique trim package I’ve rarely seen since. The price was $1700, or $1900 out the door. It ran great. At the time I had $1250, so my Dad helped me with the rest. Thanks to my brother Nick Yee, he uncovered this photo with highlights the original condition the 1971 was in before I started tampering with it with my teenage hands. Photo taken about 1978. As with many of the younger persuasion, I slowly began modifying and personalizing my Challenger. I will not go into extensive details here, but suffice it to say that as a young street machine freak, you just do as you feel and that is okay. It was all about whatever you can afford and whatever seems like a cool idea gets the nod of approval. This Challenger turned into my high school ride and also my ride into adulthood. 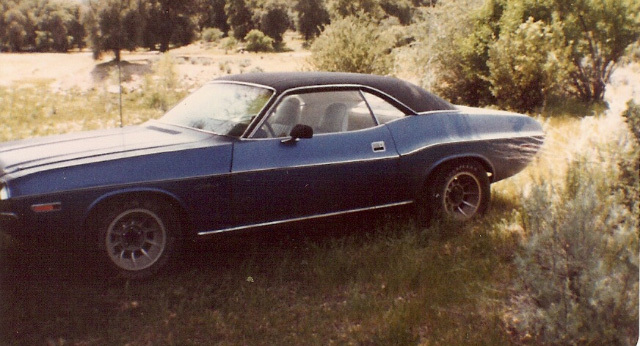 The Challenger was a reliable partner through my high school days: having a really great time cruising with all the motorheads at school, wild burnouts in the back parking lot, road trips, and general partying. We were raising hell on the highways and byways and, fortunately, survived the experience and didn’t hurt others. Worthy of MoPar note was the quickest car at school owned by Dale Mosher, a hemi-orange 1969 Dart with a 440 six-pack with a black vinyl top and 4.10s in the back. Truly a rad rocket. The absolute best cruising night was in 1979 when a huge group of us got together to go cruising on a Saturday Night in San Mateo, California. 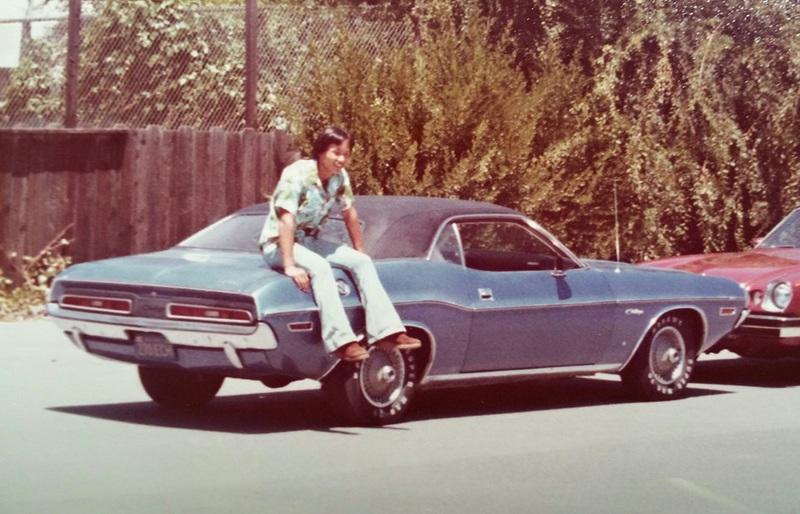 We met in the back parking lot of Palo Alto High School and just about everyone showed up who had the car fever, including the blue Torino Wagon with the yellow dome light pulling unsuspecting motorists over (you know who you are, my friend). I could start naming people but I’m sure I’d miss someone. If you were there, you’d remember those days before the “No Cruising” law. That strip on El Camino Real was absolutely packed. We were living the mystique that is conjured in ones mind when you think of the “Muscle Car Era” all the while with Van Halen, AC/DC or Lynyrd Skynyrd blaring in the background. Actually it was the Oil Crisis Era, but we did not care. What was cool was my young nephew and niece used to cheer out, “Dukes of Hazard!” to the sounds of the big block Mopar or how some high school girls used to have their talks while sitting ON my car in the back parking lot at school, thinking it was cool place to hang out. This photo was taken by my Navy bud, Michael Avery. I think we were doing some backroad moto-ing in the National forest east of San Diego in 1981. 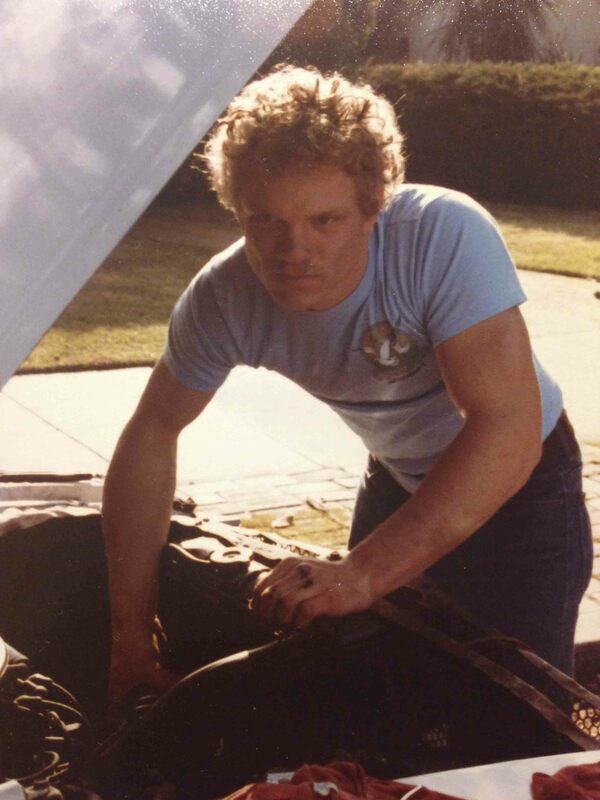 This photo is from my Navy bud, Michael Avery, here I am probably at the Navy gas station or Navy DIY auto shop at Naval Training Center, San Diego in 1981. I could recall a bunch of stuff, but I just want to pitch something out there for you guys to chew on. First Challenger a 1971 as it was in the area it was stored while I was away serving overseas in the Navy after 1983. Friends said that the Amrican Vectors looked great when I was peeling out. When I find my photos of the car when it was stock, I’ll post them. Originally the car had longitudinal side “door-ding” moulding and the biggest piece of chromed pewter wrapped around front edge of the hood and fenders to give the bumper a wrap around look. This early 1980’s photo of Scott Douglas, the Ford Expert, part of a triad friendship along with Rick Elliot, the Chevy Expert in the early days at Palo Alto High School. When I had my Mustang, Scott was always ready to help me with whatever I needed. Just a partial gathering of the PASM Association, the Palo Alto Street Machine Association. Photo taken by yearbook staff (1979) . I was on the yearbook staff that year, so I made sure we got this photo in. Too bad one of my friends decided it was cool to draw over it with his pen. Location, the back parking lot of Palo Alto High School. Ready for exhibition speed at the slightest provocation. 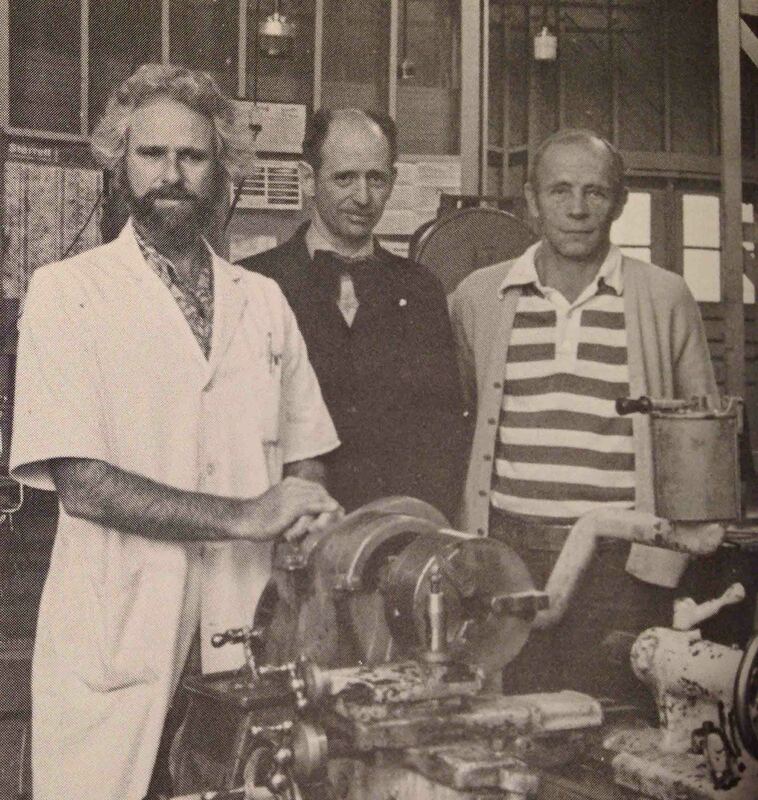 Three of my Industrial Arts teachers at Palo Alto from 1976-1980, from left to right, Bud Jamison (Architecture), O.D. Mitchell (Auto Shop), and Bob Hoskins (Metal/Algebra/Geometry).Missing is Mr. Don Jang, my drafting teacher for 3 years. All of my teachers were great, but Mr.Mitchell was my favorite and mentor through 4 years of Auto Shop. 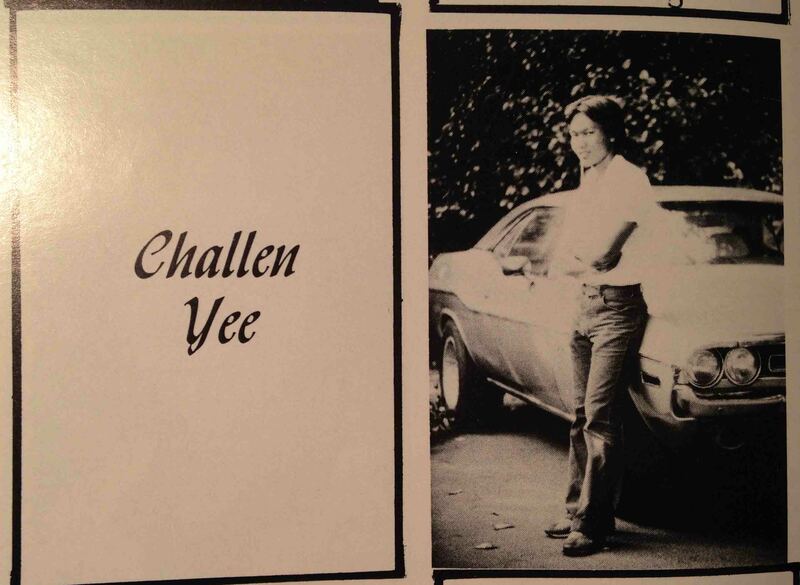 Photo is from my 1979, Junior year, Yearbook. I was class of 1980 but 1979 ROCKS! 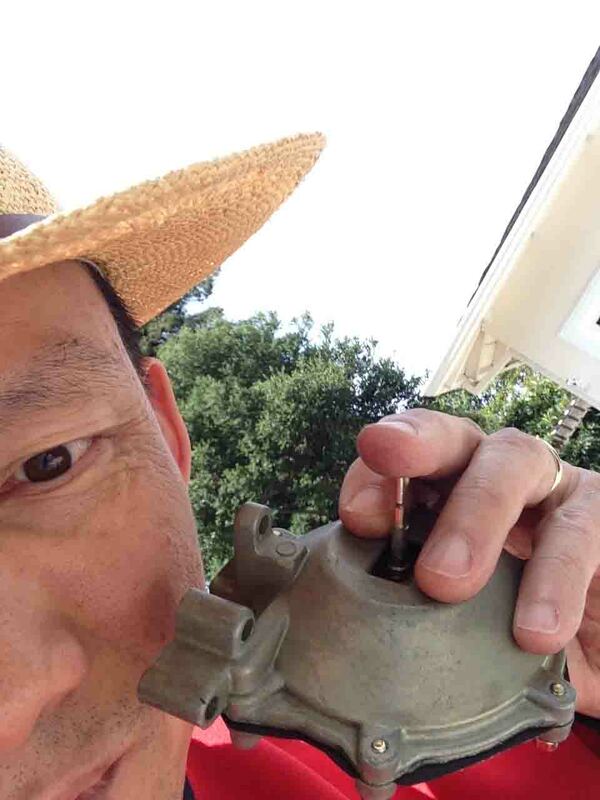 It is not recommended to change the accelerator pump nozzle on a choked carb without removing it from the car, but if you are very very careful, you can see what I did. Please read entire article before considering attempting this operation. Problem: How can you safely change an accelerator pump nozzle with a choke plate in the way… answer, you have to be extremely careful. It can be done but no one is going to officially recommend you do it without taking the carb off the car. This is how I did it (see next photos). 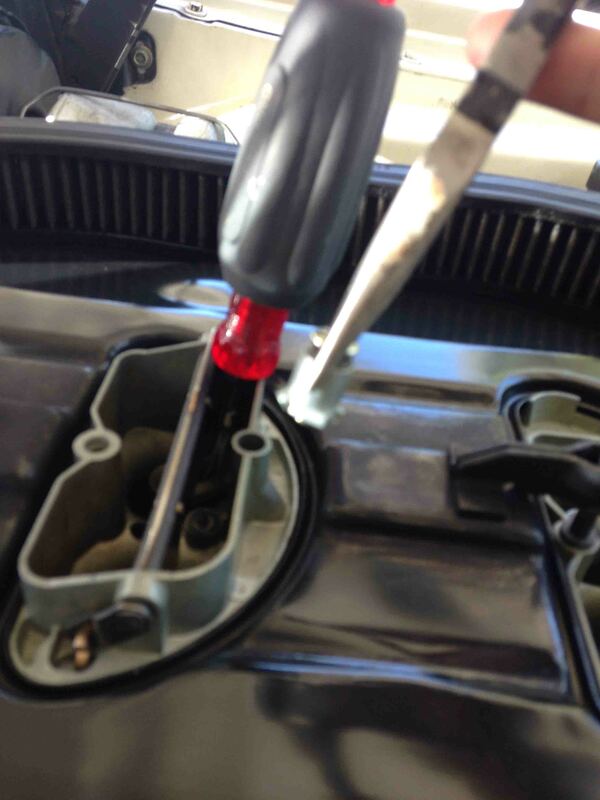 Gently feel the torque on the screw before removing for your “feel” reference. In this photo, I’ve already loosened the retaining screw and am ready to pull the assembly out with a needle nose pliers. 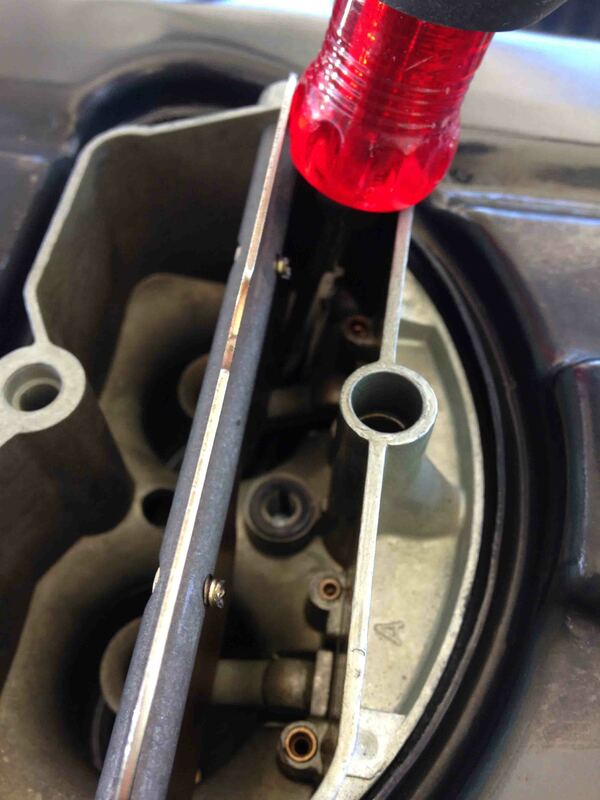 In order to stabilize the choke plate, use a device like this screwdriver, to hold the choke open the max amount. 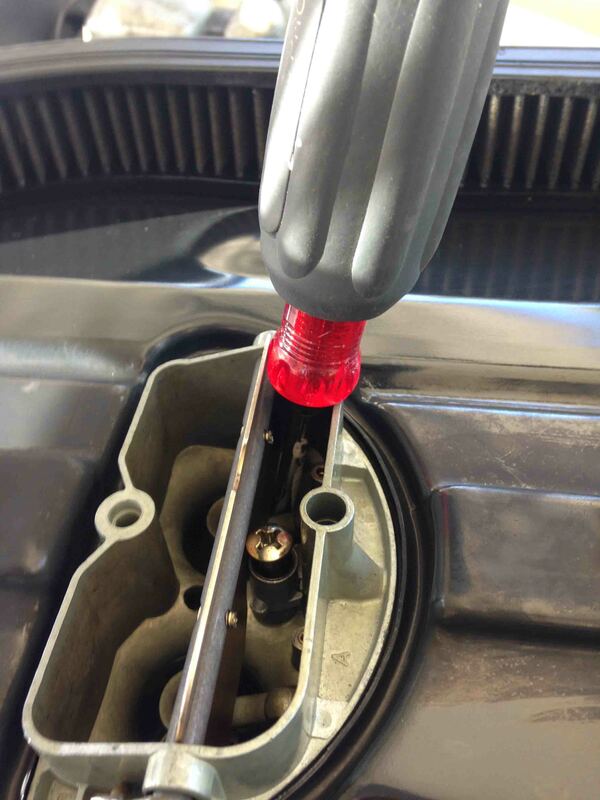 It frees up your hands and allows you to concentrate completely on the removal and replacement of the nozzle. I loosened the retaining screw and used a needle nose pliers to very carefully pull the assembly (nozzle and screw) out. I was worried about two things: 1. dropping the nozzle; 2) losing the flat gasket you see still laying in the proper position on the carb. I decided not to move that as I considered it too risky. 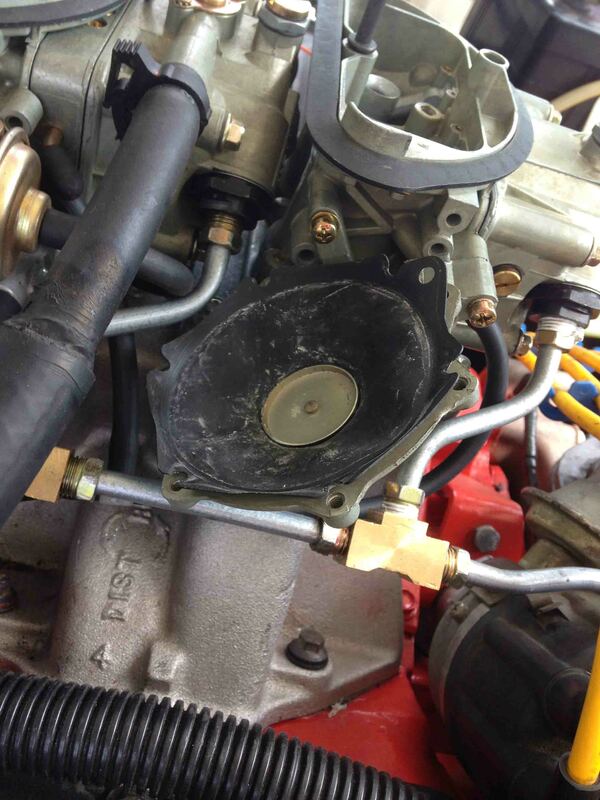 The carb is almost new, so I presumed the gasket is still in okay shape to seal. Here’s a shot at the two nozzles. Left is a #31 and the right is a #35, two sizes larger. Bottom view. Here’s a top view. 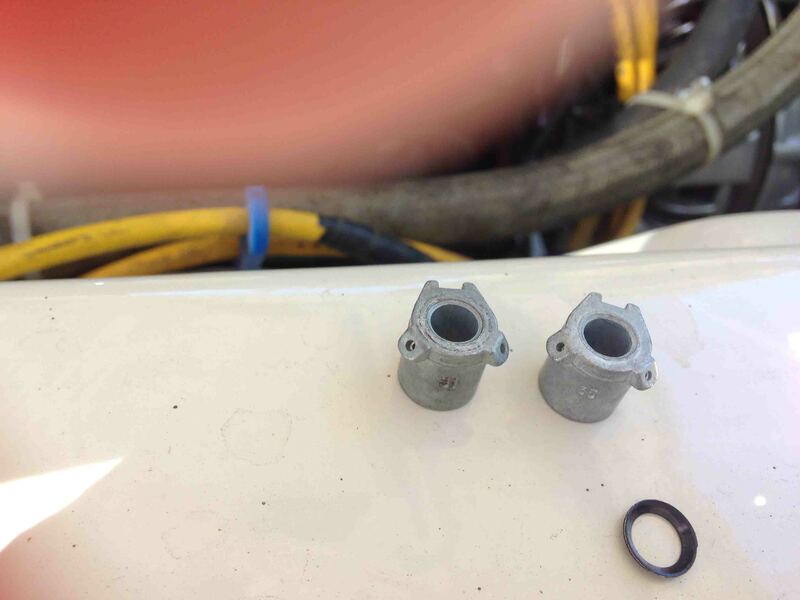 and the new top washer/seal that I chose to replace since the is little or no risk in replacing that one. I’ve read somewhere on the Net that you don’t need to go larger than a #35 on the street. I’ve also heard from Julius Steuer that he usually goes two sizes up. Which would be a #35. I’m taking this picture with my free hand so it’s not in focus. This action you need to be rid of all distractions, you do not want to drop this sucker into your carb throat. You need to guide this into the open hole like your life (in the near term) depends on it! Ahhh… made it. You do need to carefully maneuver the assembly into place as it didn’t just go straight in. 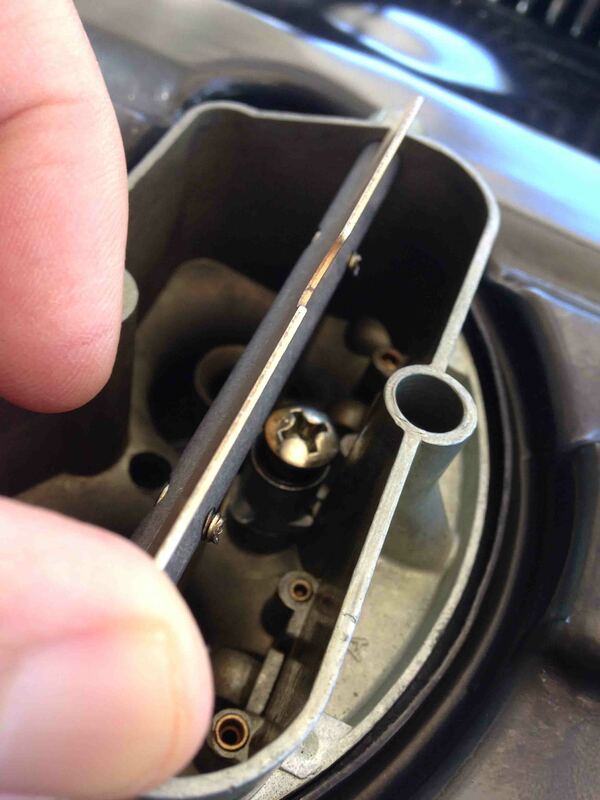 You have to work around the curved part of the carb vent due to the limited space…. Carefully and gently tightened the screw to slightly tighter than I felt before and pulled the screwdriver out to see the choke plate in its non-op position. Done. The test drive that day revealed NO popping out the carb. I thought I had fixed the problem. But as I push the engine harder, like I did the following weekend. 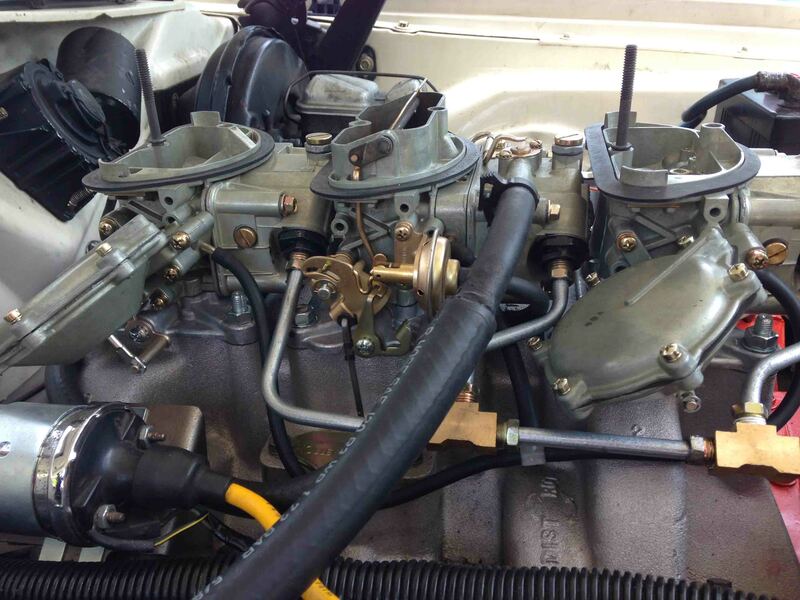 It still backfires through the carb under harder acceleration. When this thing stops popping, it is going to accelerate like mad money. 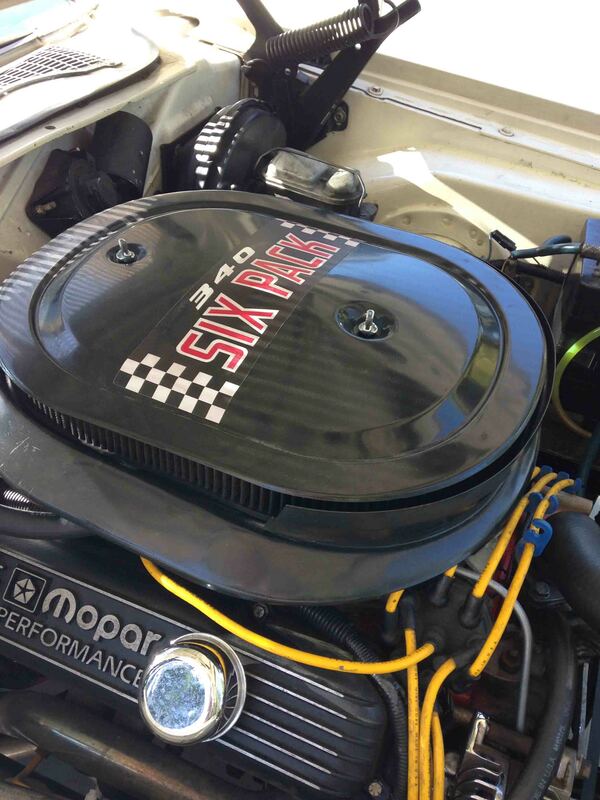 Notice the 340 decal – this air cleaner assembly was from my Challenger T/A when I first bought it. It was the wrong assembly for a small block, but correct for a big block. I sold the T/A a few years ago, it was completely restored with the correct small block T/A air cleaner. I may keep this decal on just as a remembrance of the old car and to mess with people’s minds. Changing Secondary Springs plus bonus VIDEO at bottom of post to visit a popular local tourist attraction! I decided to change to the Purple springs, which was recommended by Julius Steuer in Chatsworth, CA and although I’ve also seen a suggestion of using the Black Springs in an internet article, I decided to go with what Julius recommended. It seems like, every time I use a part that’s different than what he recommends, I lose money. Hey, Purple is a cool color. 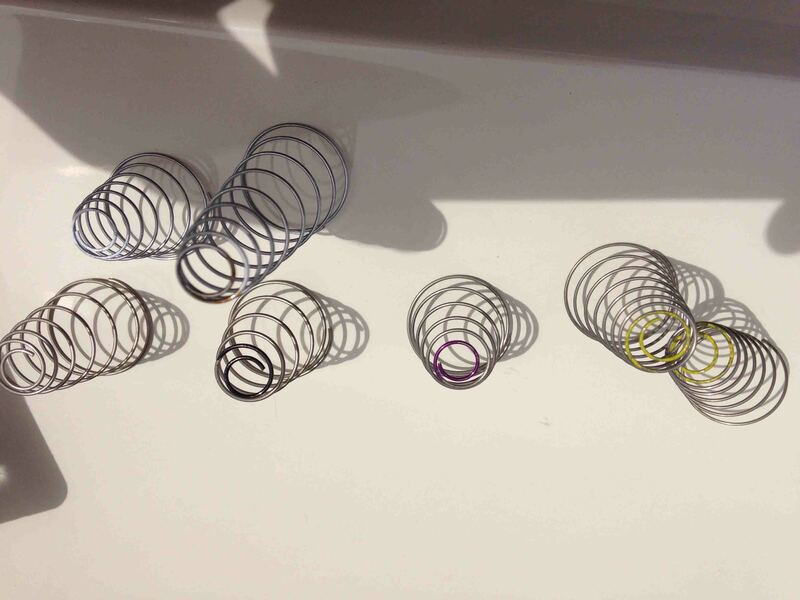 As you can tell by looking at the pointy ends of the springs. Fortunately no one recommended Yellow Springs, because it seems like there are two springs that come in the kit that have Yellow ends. Basically, the heavy E-body needs the secondaries to open more slowly so, Purple and I believe , Black will both do this. If the car was lighter or stiffer (more racing type) gearing, the secondaries will do better opening earlier. 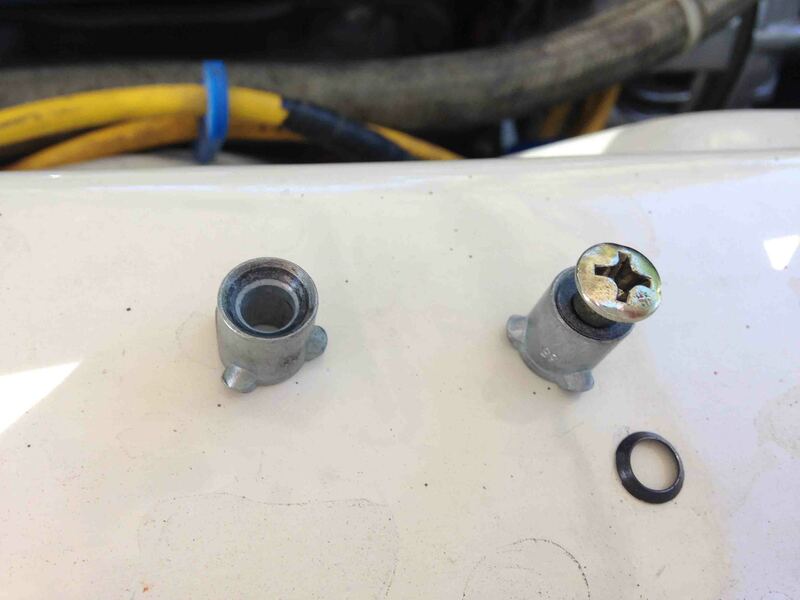 Anyway, for a novice or someone who hasn’t touched a screw driver on an engine part in awhile, first use the correct sized phillips head so you do not damage your parts and you get a correct feel for torque. I suggest to gently check the torque on the screws before you remove them. I used that feel as a reference. Interesting to note, however, when I reinstalled them I felt the torque needed to be very slightly tighter (if anyone wants to argue that point , please do). I think you’re supposed to trust that the lock washer puts enough tension to hold the screw even though it feels slightly loose. I guess I don’t fully trust lock washers (LOL). All the screws on your Holley for this job will have lock washers and I usually use a two-finger and one thumb tightness. Don’t gorilla tighten these parts otherwise you might end up with a leaky diaphragm or a broken housing. Also try using a star torque pattern when tightening to evenly distribute the tension on the rubber edge which should line up on the holes without binding on the screws. Make sure when installing your new spring, the pointy end snaps fully into place, on the circular seat on your metal cover. 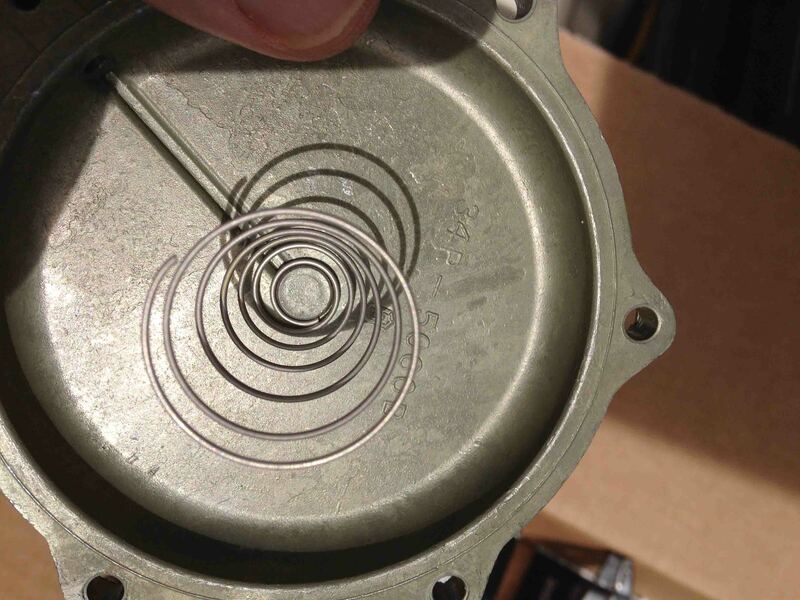 I did this by using my finger to press down through the open end of coils of the spring without compressing it (to avoid damaging the spring). Imagine sticking your index finger down through the picture below and tagging the small end like hitting a bullseye without doing something stupid to your spring. Also when putting the cover and spring back on, make sure the big point of the spring is seated on the metal disc (see below) and not on the rubber part of the diaphragm, otherwise it will damage and not work right. You don’t have to remove the whole housing, but I did, just to make sure that the air passage is free by gently depressing the vacuum rod and feeling the air on your cheek (see photo). 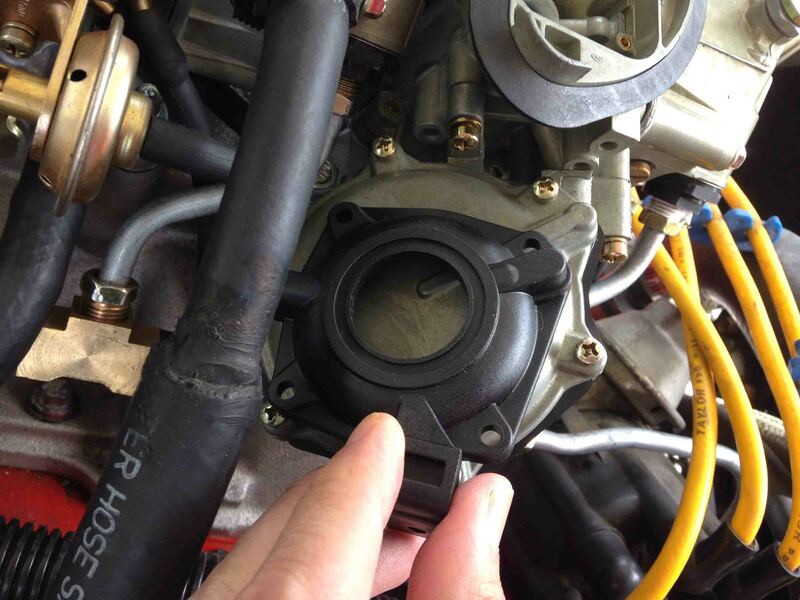 AND if you do take off the housing, make sure the little cork gasket is okay where the air passage mates to the carb body. 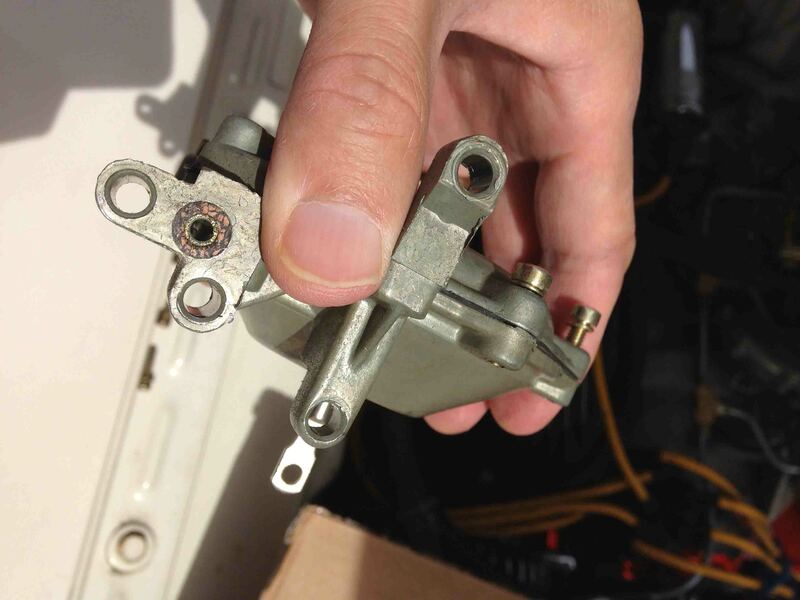 REMOVING AND INSTALLING the SPRING CLIP (see below). 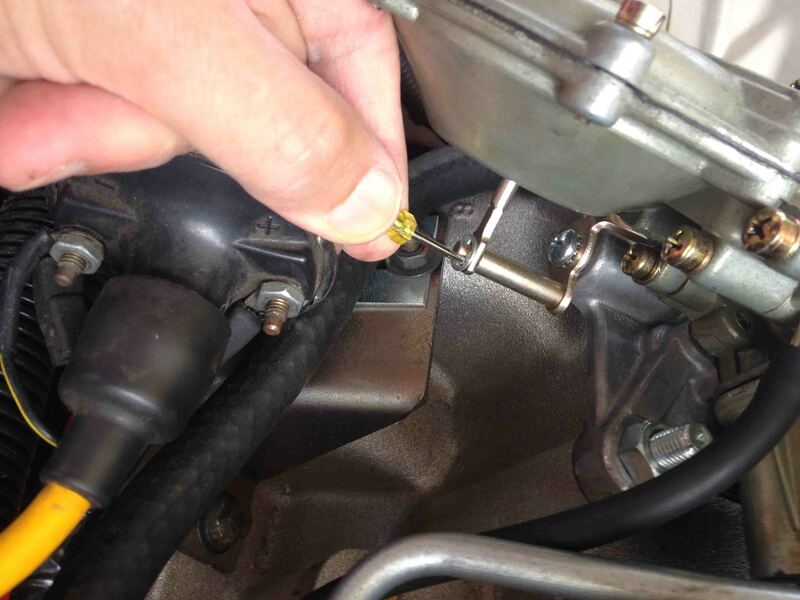 The easy way to remove the spring clips on the rod is just use a tiny screw driver to lever pull them off the round shaft by sticking the tip of the screwdriver into the gap in the clip and then expanding the gap until the clip can be removed with your fingers. To reinstall those clips, just use your fingers to snap them back into place making sure it is riding in the groove of the shaft. 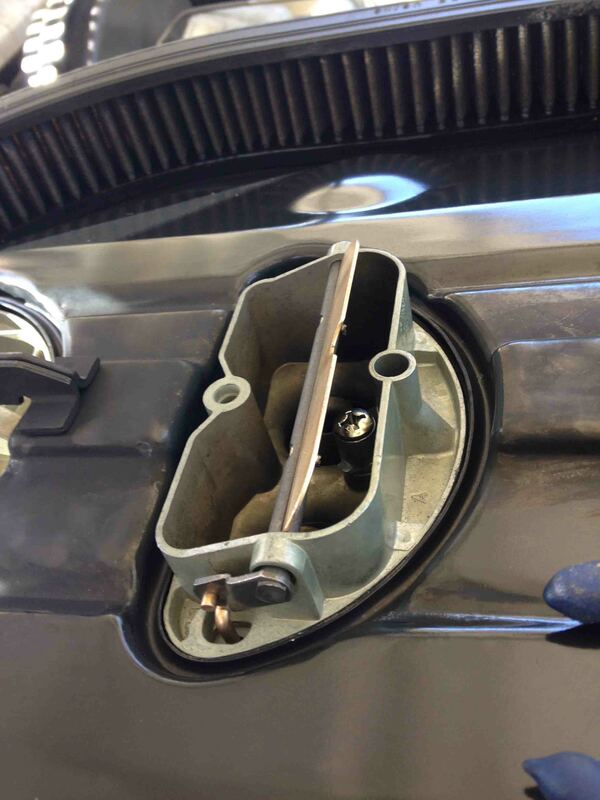 The other reason you might remove the housing is that reinstalling the spring cover is a little easier if you don’t have to lean over your fender to do it. 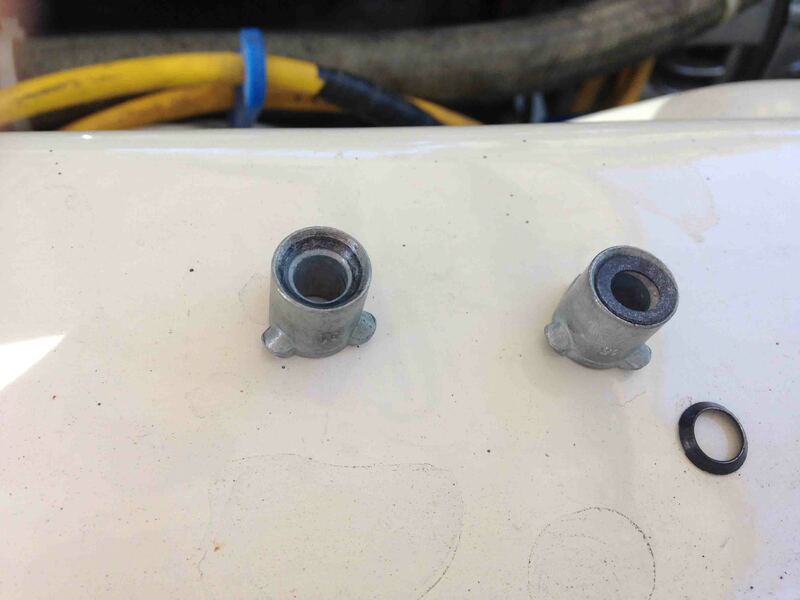 There are four screws that attach the vacuum housing to the carb body, there are a short pair and a longer pair. If you take a close look at your housing, you can tell which ones go where. 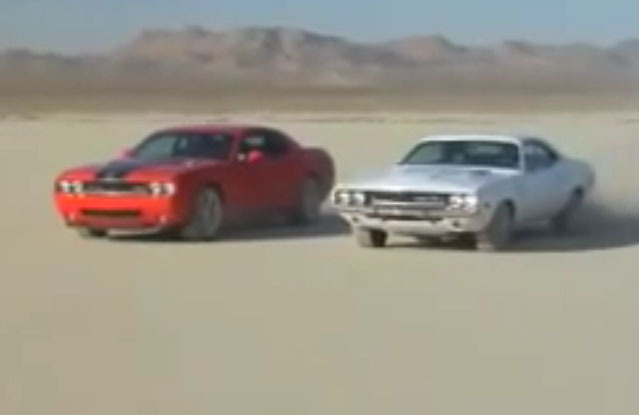 Driving the Challenger, I experienced a smoother power band and that’s what I was looking for. I am unlikely to mess with it again unless I get it on a dyno. I still want to change the stock primary #62 jets to #66. I’m pretty sure that will make a positive difference and I want to find out if that will affect how hot my engine runs, but I should get a laser thermometer to check the temps for sure. My engine is still popping as various speeds at the beginning of punching the gas peddle so I’ll address that on the next article. I had adjusted the timing last month at 36 deg BTDC at 1500 RPM (based on Hemi George’s suggestion with my Mopar performance distributor) and I thought I fixed that, but still had some pop at low speeds, but now I get pops at low and highway speeds. I did check that the distributor clamp was tight. I’ll cover this popping problem on the next post… whenever I get to it. See ya’all! You know, I am so busy I hardly have time to make these posts, but I just cram it into my schedule as I have time. Sorry to disappoint you but I did not spin a few donuts or wet down the parking lot with bleach for any wild burnouts. Wouldn’t want anyone to get their hoody wadded up. I do love how George Bush calls it Facebooks. When I left driving my Challenger, I did feel like somehow I was masquerading as one of the lucky gurus who made a killing on Facebook stock.